comfortable, with a great deal of focus on cosiness. at home. Quite obviously a place meant for relaxation. 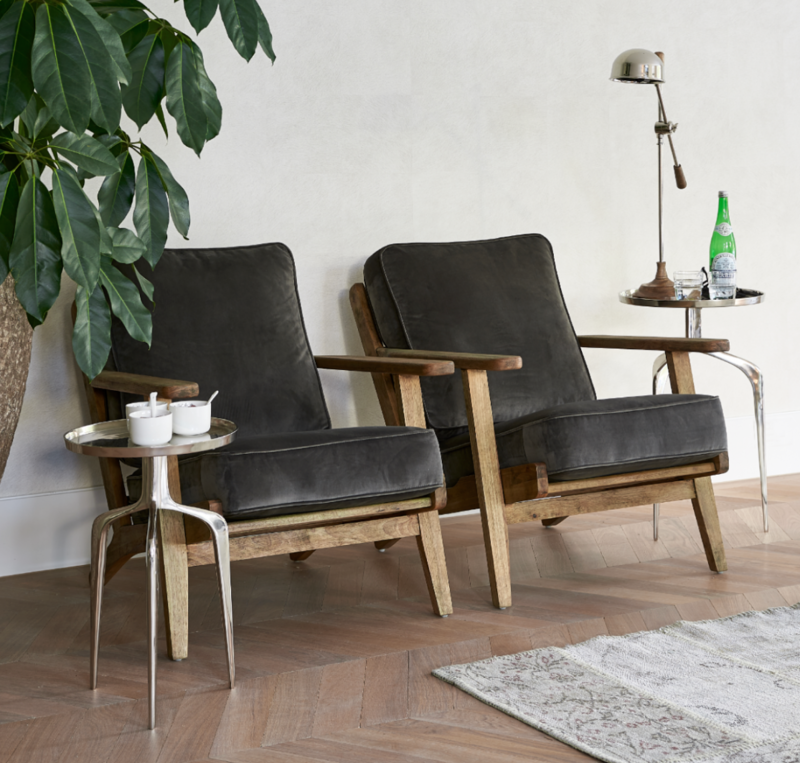 With modern living we see tranquillity coming through time and again in the designs. Serenity and ambience are created with organic, robust materials. Seeking peace and tranquillity in greenery is becoming more and more popular. Modern Living dovetails perfectly with this demand for bringing nature into the home in a distinctive way. Place different types of plants next to each other, hang them, or opt for a real eye-catcher with one large plant. Whatever you go for, greenery thrives! You can also make a statement in your interior by adding a stunning cabinet. Cabinets are great storage pieces, but also inject ambience into your interior. Take this fabulous herringbone Tribeca Bar Cabinet made of recycled wood. A classic cabinet with a contemporary twist. A genuine eye-catcher! Would you rather have an open display cabinet for all your knick-knacks? If so, the splendid metal Midtown Book Cabinet is the one for you. An eye-catching coffee table completes your interior to perfection! Steel and glass are immensely popular in contemporary interiors. Wood is a great way to add extra warmth into your home. Place a wooden coffee table in between the elements to create a delightful, spacious effect. Using several coffee tables is the ideal way to showcase your loveliest accessories. Opt for a huge vase to hold stunning flowers or foliage, or for beautifully decorated lanterns. The small, circular occasional tables can also be easily moved around the space. 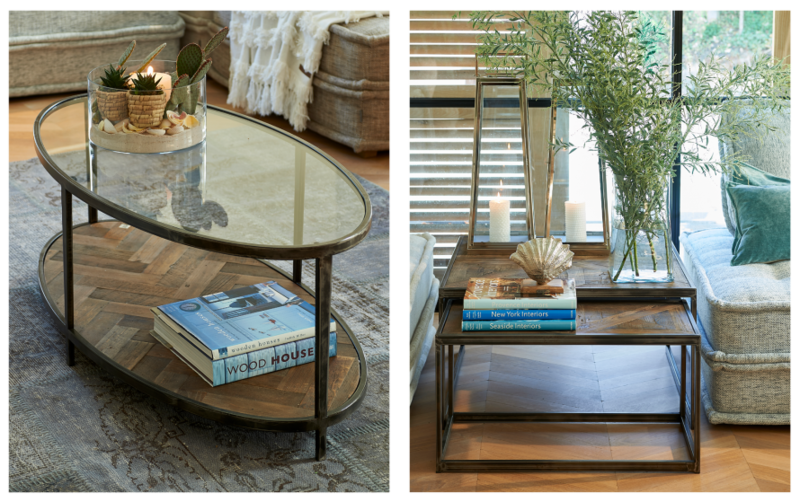 From circular, wooden coffee tables to an oval, metal one with a stunning herringbone finish in recycled wood.